So the big day finally arrived on Sunday. 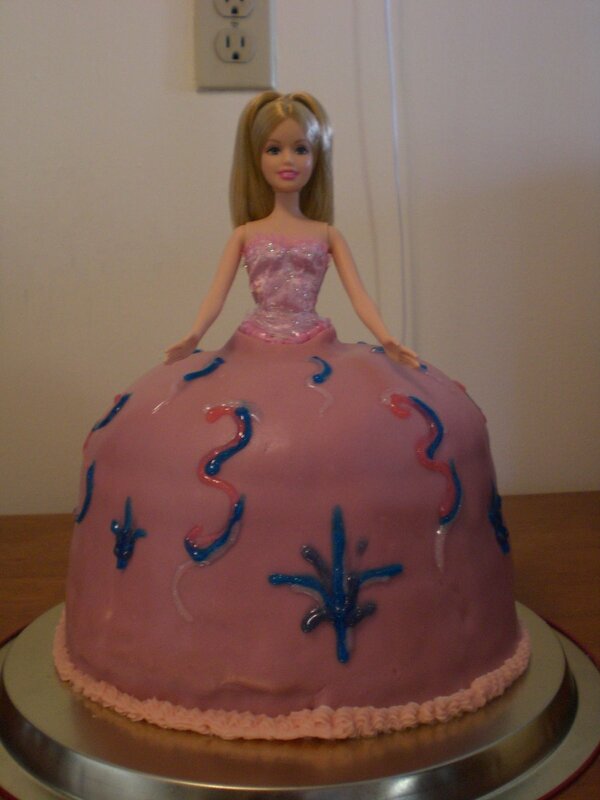 It was time to make the Princess Cake. I made two recipes of the Yellow Cake from earlier. Three layers were 8 inch rounds, and one was baked in a bowl to make the rounded top of the skirt. Then I made a double recipe of buttercream frosting for between the layers and a thin coat on the outside. After stacking and icing the layers I covered with a layer of fondant to give it a smoother finish. The cake was then decorated with sparkly gel icing, which ending up running a bit on me. It was a little stressful, but it turned out pretty good for my first attempt at something this large. I’m told that the birthday girl’s little brother wants a fancy cake for his birthday too, so we’ll see what he requests for his big day!